More than 200 MESA teachers and 1,000 students across the state will boost their coding know-how through a $25,000 NVIDIA grant. The Santa Clara-based technology company will fund ongoing teacher professional development in coding as well as hardware purchasing for students. The grant supports MESA’s digital literacy and computer science model strand that prepares middle and high school students for the rigorous degree programs in STEM majors. 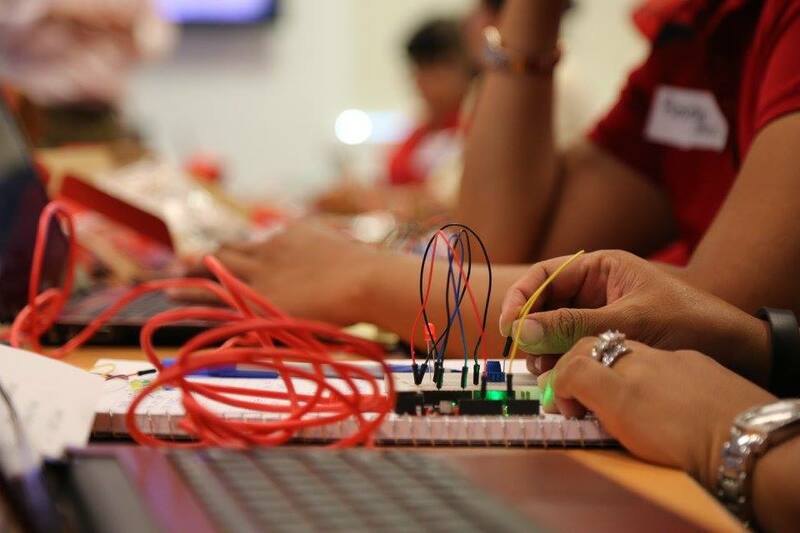 MESA’s partnership with Spark Fun provides the teacher training in mechatronics using Arduino hardware kits. Teachers then instruct students during the academic year on the kits. Non-MESA students also benefit from the training by being taught by MESA teachers during the school day. MESA’s digital literacy efforts introduce and advance the knowledge and proficiency of underserved and educationally disadvantage students and their teacher’s skills in computer programming, engineering (electrical and mechanical), and project development using the Arduino platform through hands on project competition. Students will use their coding skills in hands-on competition to build a functioning prosthetic arm within a $80 budget. This project tasks students to use what they learn in the classroom in real-world, problem-solving situations.